We are family owned and operated Jaguar & Land Rover repair, parts and service facility located in San Diego. We provide expert Auto Repair above dealer level service.We employ ASE certified master technicians. Our technicians are constantly trained. Not all independent shops are the same.We have factory diagnostic/programming equipment for Jaguar, Range Rover, and Audi. Our services include: Regular service interval maintenance, State of the art computer diagnostics, Transmission rebuilding or replacing, engine rebuilding or replacing, brake services, clutch services, steering and suspension services, A/C services, electrical testing and diagnosing and more. We provide car washes with services performed. The original specialists understands that for many people their cars are far more than just transportation. So we will not only service and repair your car, but improve the performance through specialized setups specifically designed for your vehicle type. Bring you car in today for a free Visual inspection and see what Original Specialists No Hassle Guarantee is all about! Are you looking for an experienced Jaguar mechanic in San Diego? BBC Automotive have been providing quality Jaguar repair and service in San Diego since 1959. Our equipment and knowledge completely sets us apart from the competition. Sure there are many repair shops that claim that they are a Jaguar specialist. Some even moved down the street from us. No matter what there is one original specialist in San Diego and that is us since 1959. Experience, equipment and knowledge play a big part when working with sophisticated European machines like Jaguar. There is no room for error. That is why we use the latest diagnostic tools to pin point the problems. Your Land Rover is a high-tech driving machine and you just can’t take your Land Rover just to anybody in San Diego. Our professional Technicians who know your Land Rover inside and out have the expertise required to service and repair all Land Rover models. We strive to deliver you the best Land Rover service possible, and we archive this by having all the necessary diagnostic equipment. Our mission is to keep you driving safely on the road and enjoying all that your Land Rover has to offer. We offer a one – stop service & repair center for all Land Rover models: tires, brakes, suspension, wheel alignment, exhaust & mufflers, auto electrical and engine diagnosis. ASE is the National Institute for Automotive Service Excellence. An ASE certified technician has been instructed and tested on how to perform maintenance on a vehicle. 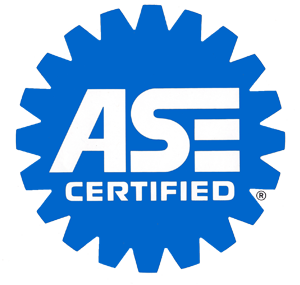 ASE certified technicians take the job seriously to get certified and if you have a choice you should choose a technician with an ASE Certification. Our mechanics are ASE certified master technicians. A master technician is an automobile maintenance and repair expert who has gained several years of mechanic experience and passed a series of requisite certification exams. 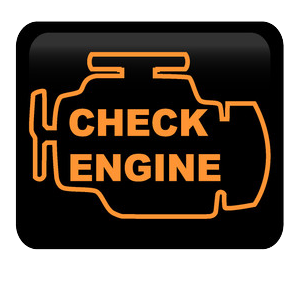 When your car’s “Check Engine” light comes on, it’s usually accompanied by a sinking feeling in the pit of your stomach. The light could mean a costly problem, like a bad catalytic converter, or it could be something minor, like a loose gas cap. But in many cases, it means at minimum that you’ll be visiting the car dealer to locate the malfunction and get the light turned off. The Original Specialists can help! We have the the most up to date diagnostic tools and computers in San Diego. As a dealer alternative complete repair and service garage for Jaguars, Land Rovers and Audi our highly trained technicians can solve any problem efficiently saving you time and money. Summary: I am definitely referring your shop to all of my friends and family. Description: It’s refreshing to be treated with such integrity. I am definitely referring your shop to all of my friends and family. The Jag looks great from being washed after the brake job you guys performed. Thanks Sam & Mike.